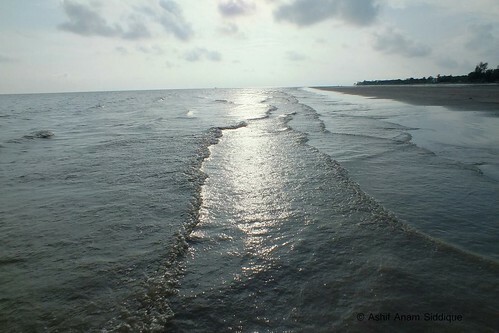 Kuakata is known as “Sagor Kanna”, the daughter of the ocean in Bangladesh. 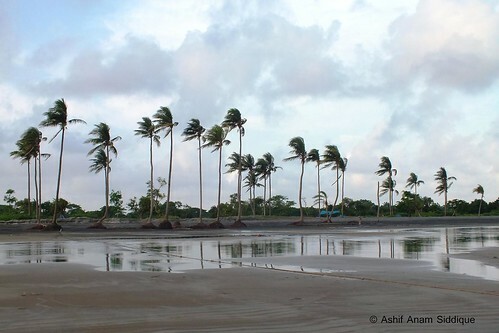 The importance of this sea beach lies in its rare geographical settings to make it possible to enjoy the sun shine and sun sets in the ocean from the same beach. 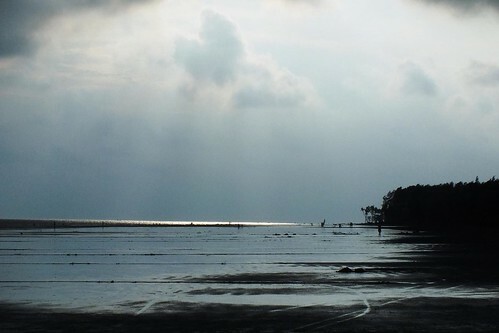 Kuakata is the end of Kalapara thana of Patuakhali district. Weather condition is very favourable in Patuakhali. 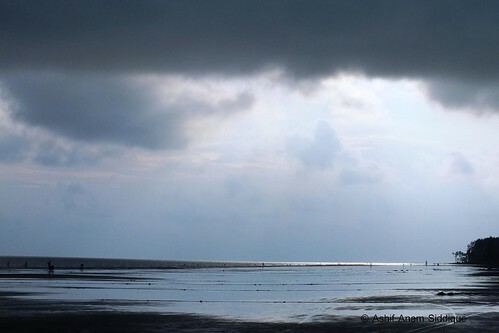 Summer heat can not pour its full flair here since monsoon clouds ply gently all over the summer season. 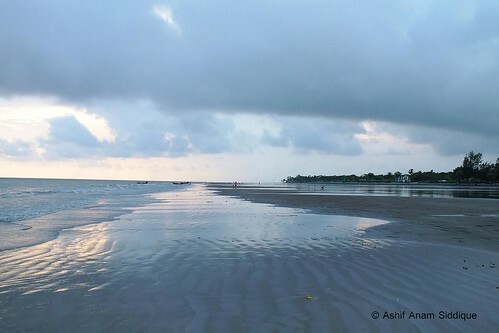 Kuakata sea beach is a paradise for the solitary lover because the route to kuakata takes a long and exhaustive journey from Dhaka to reach Kuakata. Though construction of two bridge is going on over Andharmanik river and Mohipur river, a traveler should also pass another three river including Padma by feri. 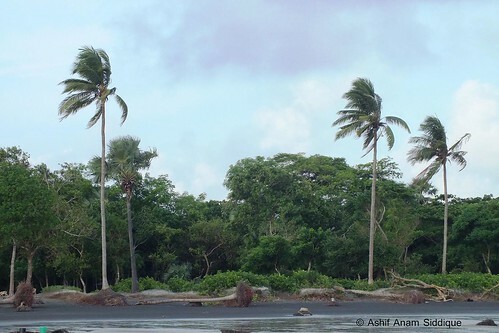 As a result, only a few number of tourist come here and can enjoy a pure touch of wild green nature and might sea. Kuakata has also some other diversification in cultural and traditional looks. 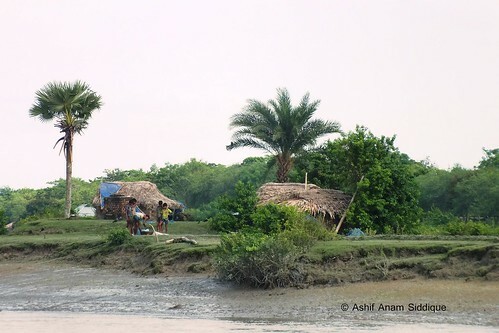 A large group of Rakhaine people live here for more than two hundreds years. 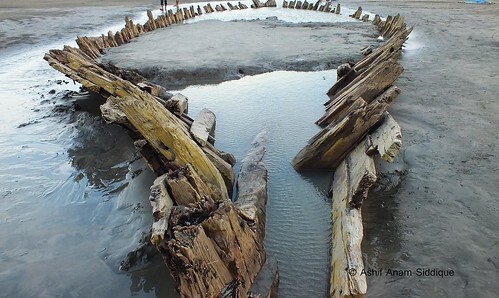 Recently a 200 years old wooden boat emerges from the sandy beach. 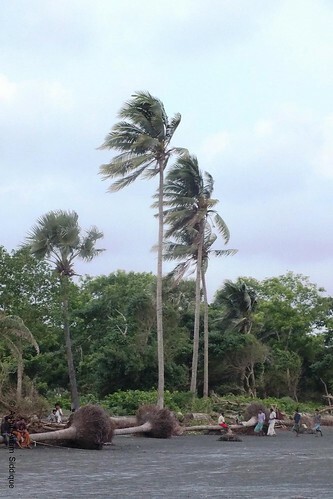 Archeologist presumes that boat is bearing the history of the first Rakhaine settlers migration in this area from Burma.